Social media is a powerful tool for businesses to market to an extremely large and diverse audience. Whilst twitter and Facebook are used by almost all companies, many are yet to unlock the potential of Instagram. A picture is worth 1000 words. Especially when you can shared it with 300 million people. The multi-platform application has over 300 million users and is the fastest growing social media application, doubling its users from 13 to 26 per cent in just two years. (Pew Research Centre, Internet Project Surveys). So what exactly is Instagram and how can it benefit your business? Instagram is a phone application that involves only sharing images. Predominantly used by 18-29 year olds, it is as simple as taking a photo and sharing it with “people who you care about” – Kevin Sysrom, CEO. The unlocked potential of Instagram for businesses is the advertising platform it provides. Not only can companies have sponsored images in users visual feeds but they can also conceal advertisements through endorsements. Unlike Facebook and Twitter which have status updates, tweets, check-ins and uploads, Instagram only allows users to upload, view images, ‘like’ images, comment and share images with other people. This means that your marketing message is sent actively and directly without getting lost in other people’s uploads. Sponsored advertisements allow your businesses image to appear on a users’ feeds even without them ‘following’ you, allowing for business exposure. Instagram users may ‘hide’ these ads. But the paid adverts are designed for your target audience as Instagram can access Facebook’s demographic data. 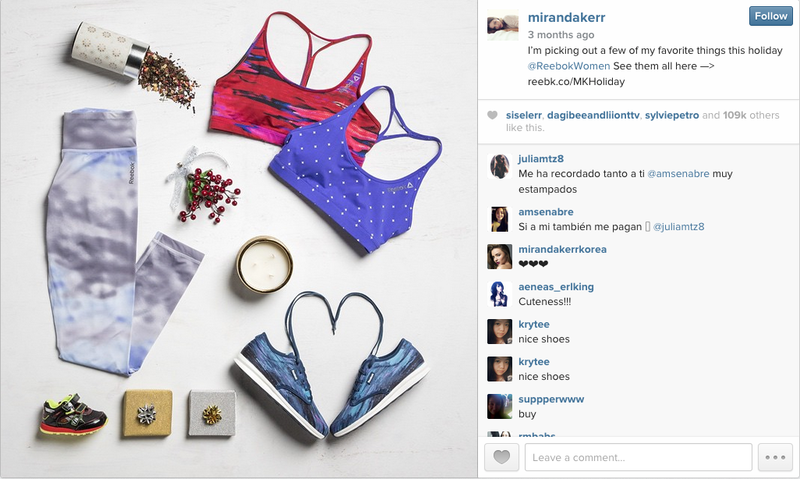 Endorsements on Instagram generally have greater influence on users than sponsored adverts. This is because the endorsements are coming from accounts that people have consciously followed. Like any form of product placement, some are disguised better than others. Endorsements aren’t just from A-grade celebrities and don’t have to cost your business thousands of dollars. Many companies utilise everyday people who have lots of followers to endorse their products and benefit their business. Wollongong blogger, Fiona Purcell, has made thousands of dollars through endorsements through both her Instagram and parenting blog. Even young Aussie Indy Clinton who is classified as “insta-famous” told the Daily Telegraph that she is earning up to $750 per upload. Currently, there are recruitment companies exist to find your business the right endorser for your product. 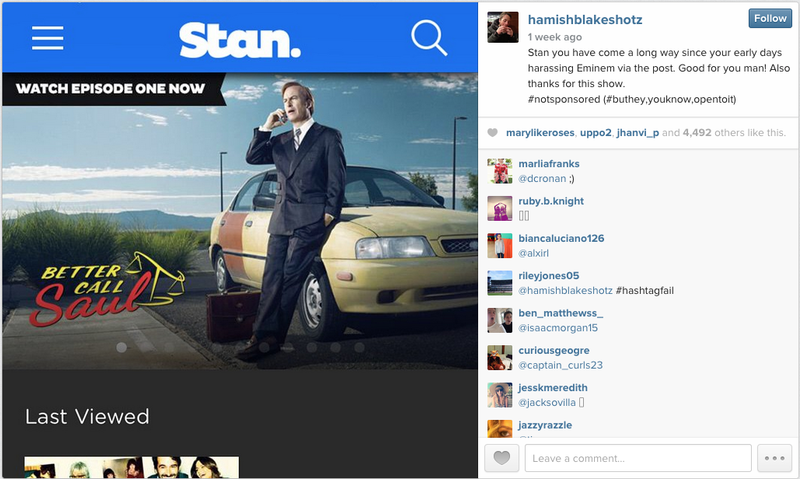 Hamish Blake’s endorsing ‘Stan’ whilst hash tagging ‘not sponsored’, February 2015. So how do you get people to want to follow your business on Instagram? Many companies create competitions that involve following and sharing the company’s image to promote their account and even expand their customer databases. This process results in followers for the account and increased brand loyalty. An account that successfully connects with their target audience (followers), through these competitions and on a more personal level, will enhance profitability for any business. 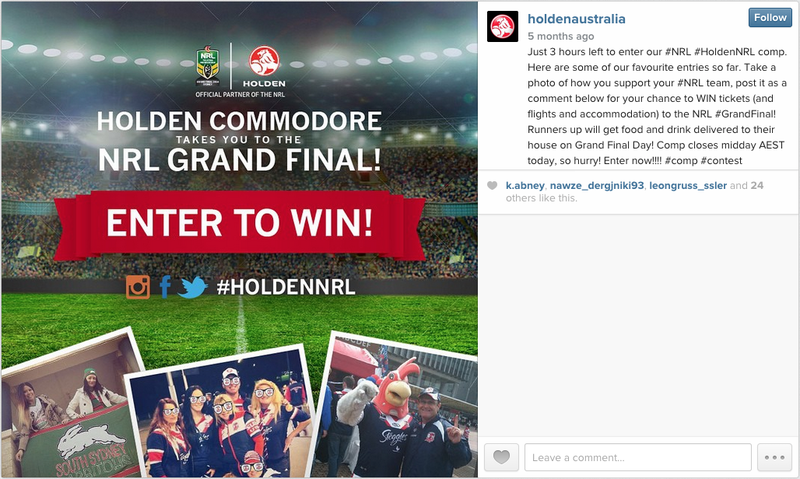 A post from Holden’s Instagram account for a competition, where you must post and hashtag to enter. Another strategy used for market exposure are #hashtag campaigns. The ‘hashtag’ acts as a link for a word or sentence that allows users to see all uploaded images with the same ‘hashtag’. A hashtag campaign is designed for marketing purposes to create hype. It aims to make users want to be a part of that ‘hashtag’ community. Take “Frank Body Scrub” for instance. What started as a simple coffee exfoliant in a brown sealed bag is now a huge Australian campaign on Instagram for both men and women. This campaign has created so much hype that there are Instagram users wanting to buy the product simply so they can upload their photo and join the campaign #thefrankeffect which has 67,000 posts. The exponential growth of Instagram is great for businesses and easily accessible on a mobile phone. Through appealing to a younger, more impressionable audience, your business has the potential to become influential. If not, it may just become infectious to users in just a few likes and hashtags.